Sweet? She's sweet enough for you, old man. I don't know who made this geeky confection, but I want to hug them. 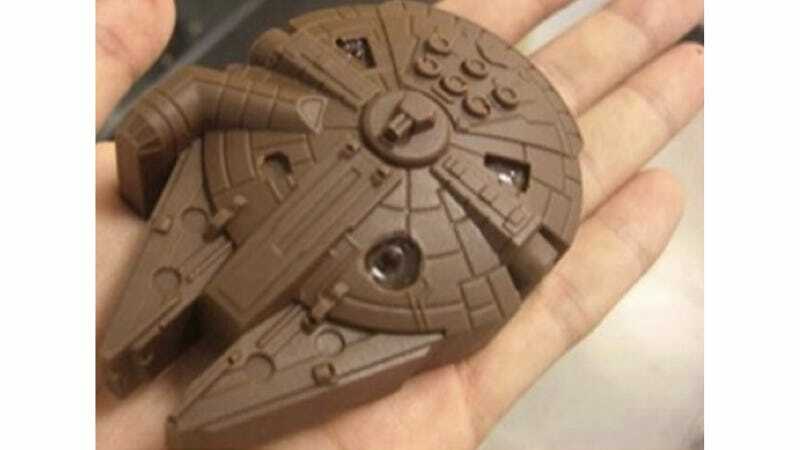 The attention to detail, the... the chocolate! And oh my god it's filled with even more chocolate. UPDATE: We now know who made 'em! The man behind this sweetness is a Mr. André Murrai who lives in Brazil. He chimed in in the comments to let us know. We clicked over to his page and oh man, do his other confections look good, too. We just added two more images. Thanks for the chocolate dreams, André! White chocolate storm troopers? Yes please.